Art-Tec Prints custom posters are printed using the latest and most advanced technologies to give you the most vibrant colors and highest detail possible. Design your own poster for your living room or dorm room wall. Express your opinions, advertise your business or hang your family photos, favorite artwork and funny designs for everyone to see. 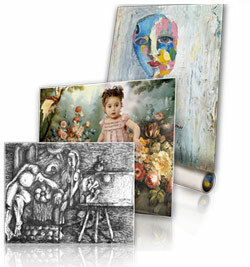 We offer prints on artist grade papers for Giclee printing. Our Art Posters come in several media types. UV-resistant archival inks, 40+ years of fade resistance printed on Epson art papers.